As a normal side effect of life, most individuals have incurred some sort of trauma to the head. It may have happened in a serious motor accident or sports related injury, but far more frequently it's the result of a bump on the head caused by a simple trip and fall or a wayward cupboard hitting you in the face. Fortunately, most falls or blows merely affect the external-which often times appear more frightening than it is threatening. Within medical literature, a traumatic brain injury (TBI), also known as an intracranial injury, occurs when an external force traumatically injures the brain. TBI's can be classified based on severity, ranging from "mild," i.e., a brief change in mental status or consciousness to "severe," i.e., an extended period of unconsciousness or amnesia after the injury. Because these injuries can occur from one person causing damage to another, our brain injury attorneys stand ready to help you with your case. A head injury usually refers to TBI, but is a broader category because it can involve damage to structures other than the brain, such as the scalp and skull. 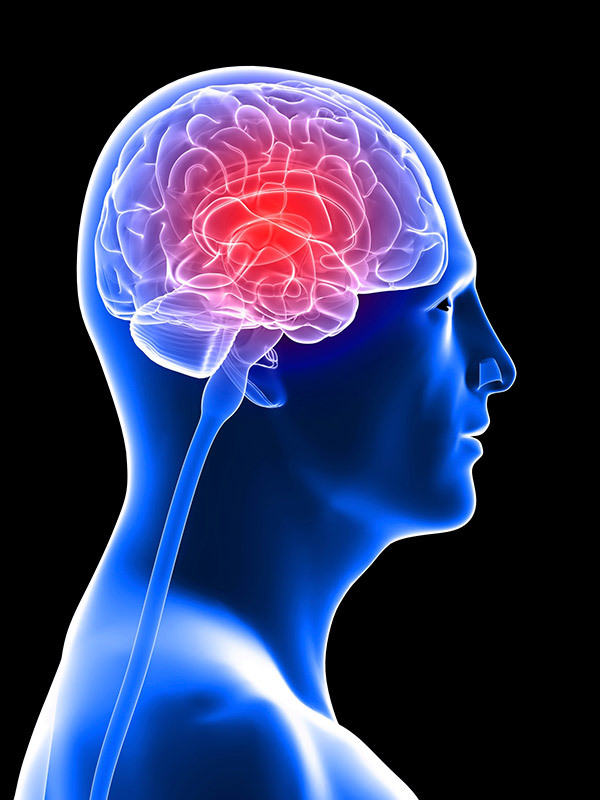 The most common form of a TBI is a simple concussion. TBI's can be caused by a direct impact or by acceleration alone. In addition to the damage caused at the moment of injury, brain trauma causes secondary injury, a variety of events that take place in the minutes and days following the injury. These processes, which include alterations in cerebral blood flow and the pressure within the skull, contribute substantially to the damage from the initial injury. Unfortunately, despite the medical interpretation of the form and causes of brain injuries, many insurance companies are quick to discount one of the most common causes of brain injury within our society; injuries caused by quick acceleration or deceleration. For those having trouble envisioning this type of injury, try to recall the videos of the crash test dummies at the moment of impact in the car accident- often times, their heads don't hit any hard surface, but instead are forced to snap back and forth due to the impact of the accident and the resistance of the seat-belt. However, there are a number of other common situations that lead to brain injuries where there aren't any direct blows to the head. Some of those are listed below. 1. Forces applied to the brain: You don't have to hit your head to apply forces to the brain. When your head moves rapidly, your brain moves inside your skull and impacts the brain. These forces, slamming your brain around in your skull, are often hard enough to cause brain injuries. For example, one study found that in car wrecks of 35 miles per hour, 27% of drivers and 21% of passengers who were wearing seat belts were at high risk of head injury even when their head didn't contact anything on the interior of the car. Even hearing the above description, some may discount the non-impact cause of head injuries. But remind them of shaken-baby syndrome. Countless children are harmed or even killed from head injuries suffered by shaking - and they all occur without any impact. 2. Blast Injuries: One legacy of the Iraq war is that we are learning more and more that people around explosions can suffer severe brain injuries without any type of impact on the head. These same type of injuries are often found in construction-site accidents or in various types of manufacturing plant accidents. 3. Lack of Oxygen: Brain injuries are also often caused by anoxia, or lack of oxygen to the brain. These types of injuries often occur in near-drowning cases, but they also arise in other situations. 4. Loss of Blood: An injured person who loses a lot of blood may also develop a brain injury even though the head never impacted anything during the actual accident. Recognizing a brain injury and getting prompt treatment can make a significant difference in the outcome of your case. If you have suffered a brain injury as a result of a car or motorcycle accident you will need to receive compensation from those responsible. Long term care, extensive rehabilitation and job retraining are only some of the expenses you may have as a result of a brain injury. Your best chance at recovering the appropriate financial compensation for your injury rests on the negotiating and litigation skills of your brain injury attorney. At Yedidsion Seber Yedidsion LLP, our brain injury lawyers understand that the compensation you receive as a result of the injury might be your means of financial support for the remainder of your life. Therefore, our attorneys work tirelessly to ensure that you will be able to live a meaningful life without struggling financially. Our Los Angeles office offers a free consultation to assess the facts of your case and develop a plan of action going forward. Call us at 310-402-2775 to set up an appointment for our initial consultation. If it is difficult for you to attend physically in Los Angeles, we can set up a telephone meeting to get started.